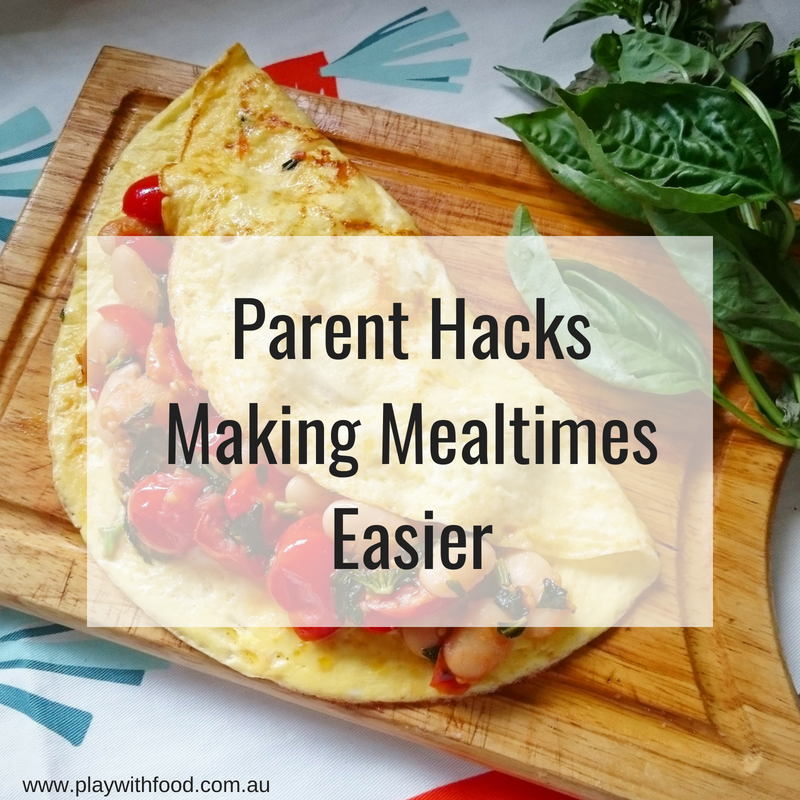 Good parent hacks making mealtimes easier are all about SAVING something. Saving money. Saving time. Saving dishes. Saving waste. Saving sanity. 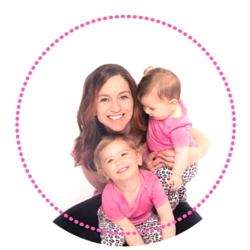 Mealtimes can be a draining affair, especially if you have a fussy eater on your hands. And we want to save our mealtime from turning into a battle zone. So, here are some parent hacks for making mealtimes easier. Use what you’ve got. If you have a couple of core recipes that your family loves, use them. Make a tweak here and there and play to your strengths. Trying to do a new recipe every night will not save your sanity. Knowing that a quick substitute of lentils for mushrooms in your bolognese sauce will save your sanity. Knowing that sprinkling on some smoked paprika on half your baked sweet potato and your usual sea salt on the other half makes it a new flavour for your kids to learn about with the reliability of the known version. Save anything really new for a time when your sanity won’t be sacrificed. It’s not worth “holding out for a hero” on a night when everyone is running on empty. Oh, I love instagram for lots of mealtime preparation hacks. Have you met Patti from Pizza Night, yet? This hack is awesome. I do it all the time but I never thought to articulate it. Did your mum use the jar as a mixing vessel to use up every last skerick of sauce like my mum did? You learn hacks like these via osmosis in the kitchen and if you missed the lesson on this one, instagram has got your back. End of the PB jar tip: Add a little soy sauce, sesame oil, fish sauce and water to the last gasp and shake it! Good times and a great satay marinade aka Chicken On A Stick. It’s a new PN favourite. Marinade chicken thighs, cut in half lengthwise and skewer. Cook under a med-high grill for 15 minutes, turning often. Serve with rice and cucumber or green of choice. ?? Veg gang: Use firm tofu or eggplant. This other hack, I recently spied over on Stina’s instagram feed, was to use our sandwich press to make chunky banana pikelets. It is amazing. The result is UNBURNABLE pancakes. For ours, I mashed 1 banana, 1 cup of whomeal SR flour, 1 egg and 3/4c cups of milk to make ours. Stina’s pancake hack in it’s original form…. ??Yaaaawn.. those end of the work-week feels? The first words out of this guys mouth this last week have been: «me have pancake! !» It took me a while to try this pancake hack, but cooking pancakes on the sandwich press is truly brilliant!! Significantly reduces the chance of burned pancakes while I do the 12654 things I need to do so we can be out the door by 7.15? This pancake batter had leftover pumpkin, spinach and banana in it, plus leftover puffed quinoa that wasn’t a big hit ? ?‍♀️ no waste! Happy Friday everyone!! 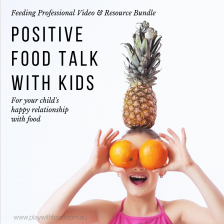 Put simply, if you can make a stir-fry without referring to a recipe and you only have a few mins with the kids, use that meal idea to get them involved with. (There is a link to kid friendly knives on my side-bar). 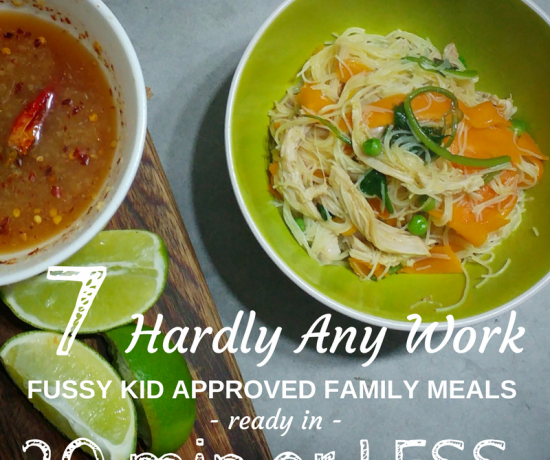 When you are short on time, from first hand experience I wouldn’t go for a Jamie Oliver 15 minute meal recipe that you’ve never tried – they always undoubtedly take 40 minutes with kids in tow WHILE you are also trying to learn the recipe. Trust Me. Dividing your attention between kids, recipes and the clock is a plane ticket for the dinner-stress-zone. To make it easier to have kids in the kitchen, pre-plan a range of tasks they can do alongside you. I like to call these “unhelpful help” tasks. The kids feel like they are helping. And they are, in a round-about way. 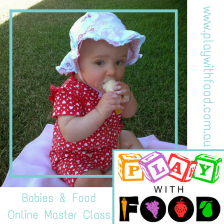 They are learning about foods, they are out from under your feet and they are learning about what you are doing which builds up their executive functioning skills. 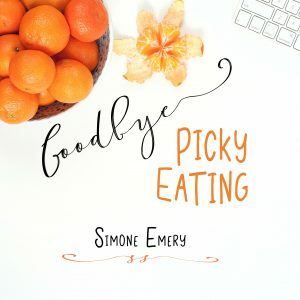 Examples of unhelpful help are things like lining up the peelings from the sweet potatoes in size order, counting the remaining eggs in the fridge, putting the remaining pasta into a jar for the pantry or washing the frozen peas in a little bowl before you boil them. Obviously they don’t contribute to the finished product but they are all great exposures. 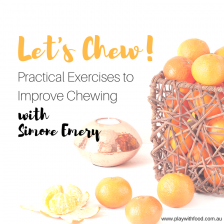 You may also need to pick your mealtime strategy for if / when things go pear-shaped. 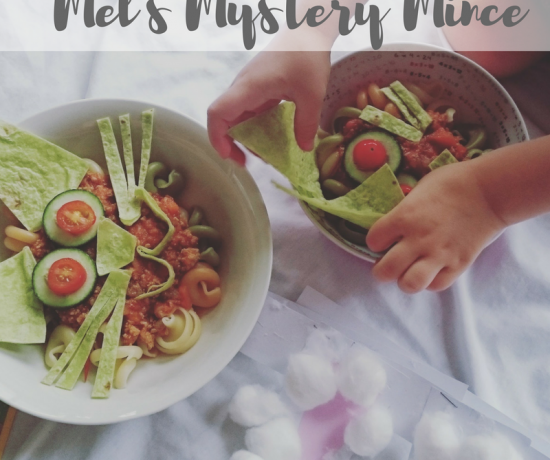 This post will help you get some more parent hacks for handling mealtimes when they start to derail. 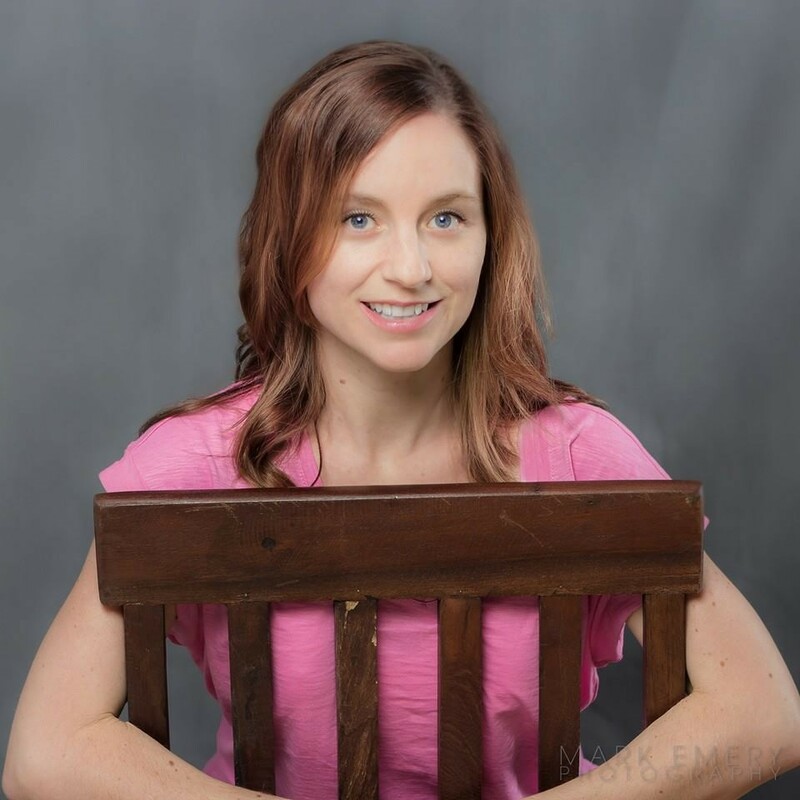 Learn more about mealtime language here. What is your favourite mealtime hack to make mealtimes less stressful? What did you learn in the kitchen as a kid that is a massive saviour for you in the kitchen now?